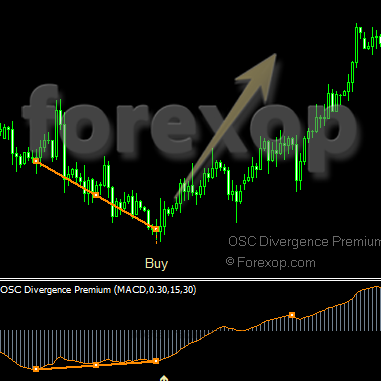 An intelligent Metatrader divergence indicator that will tell you when to place a trade. It runs in the background and can send trade alerts either by email, SMS or display them in the trading terminal. 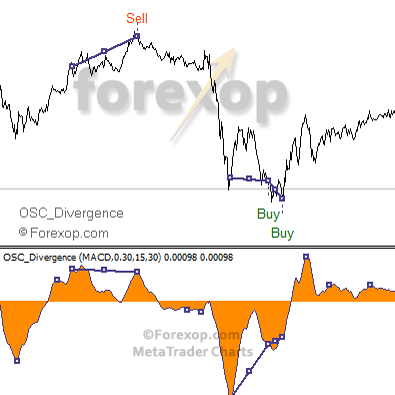 The indicator locates divergences; that is situations where there’s a temporary disconnect between an oscillator such as MACD and the market price. In typical cases the MACD (or whichever oscillator is chosen) is moving against the price over a short period. These create trading opportunities. 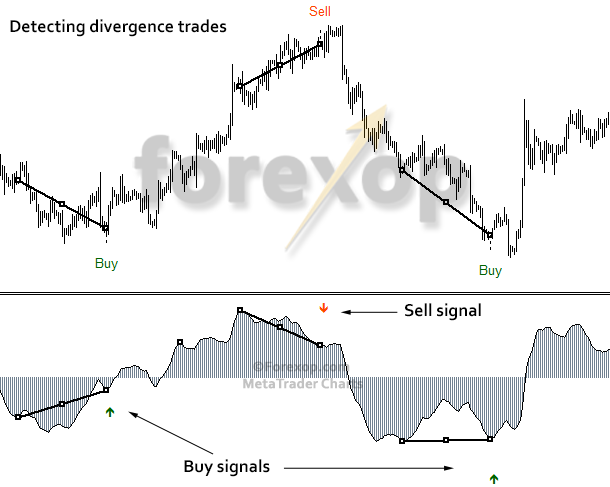 Divergence is a favorite strategy among technical traders. This is because of its clean signal and ability to locate high probability market turning points. Figure 1 below shows an example. 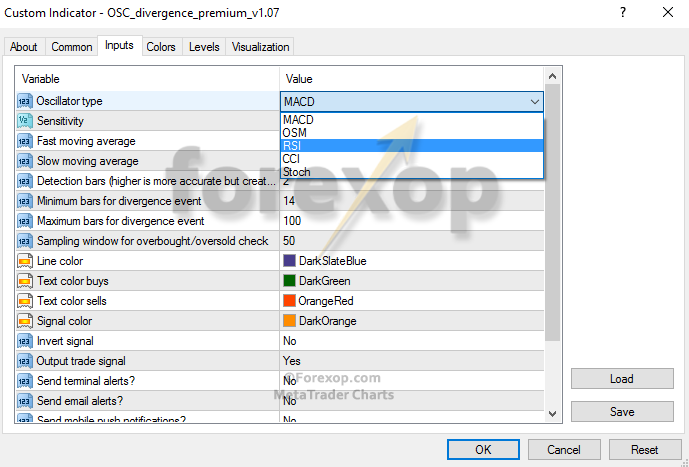 This tool uses a dynamic sampling method so that low probability divergence trades are filtered out in the early stages. 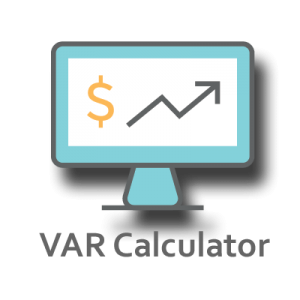 The remainders are checked against a number of other criteria to maximize the success rate. Buy signals are generated only where the market is deeply oversold and sell signals where the market is deeply overbought. These combined with situations where momentum is slowing are often seen where a market correction is building. The indicator doesn’t place trades for you. However, if you are looking for a fully automated system the template provided will let you easily hook it up to your own expert advisor. These oscillators are all built into Metatrader 4 and 5 so there aren’t any custom tools to install. For a more information please see the technical guide.